Lamia set up Little Thinking Minds, which produces DVDs, apps and songs for children in Arabic. In 2011, the company joined Jordanian accelerator OASIS500, and now has a creative element in Jordan and a salesforce in Dubai. 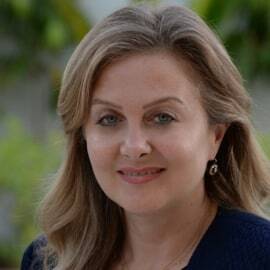 Lamia runs the Gulf Cooperation Council operations and is responsible for sales and business development for Ireadarabic.com. Before Little Thinking Minds, Lamia was content manager at Maktoob.com. She started her career in Jordan television, as a reporter, editor and anchor. She has a master’s in media studies from the New School for Social Research in New York. Lamia also worked briefly at the BBC as a freelance producer.